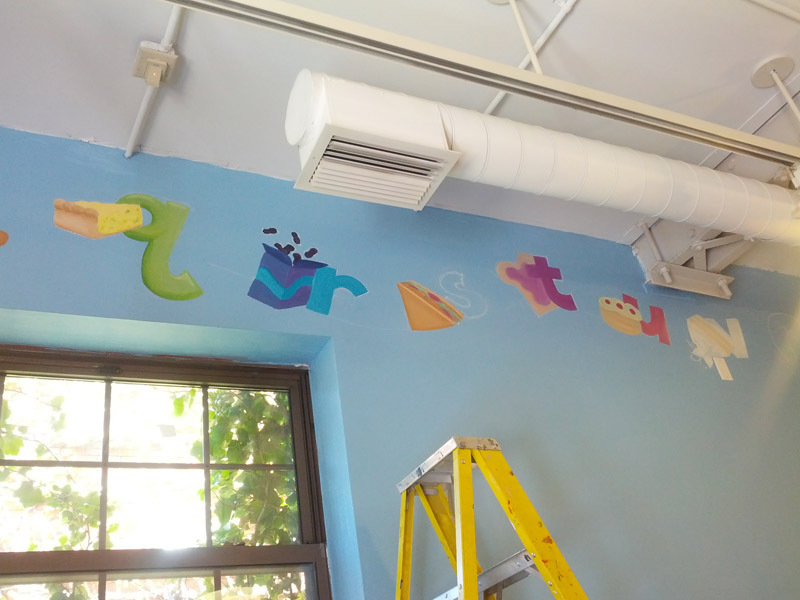 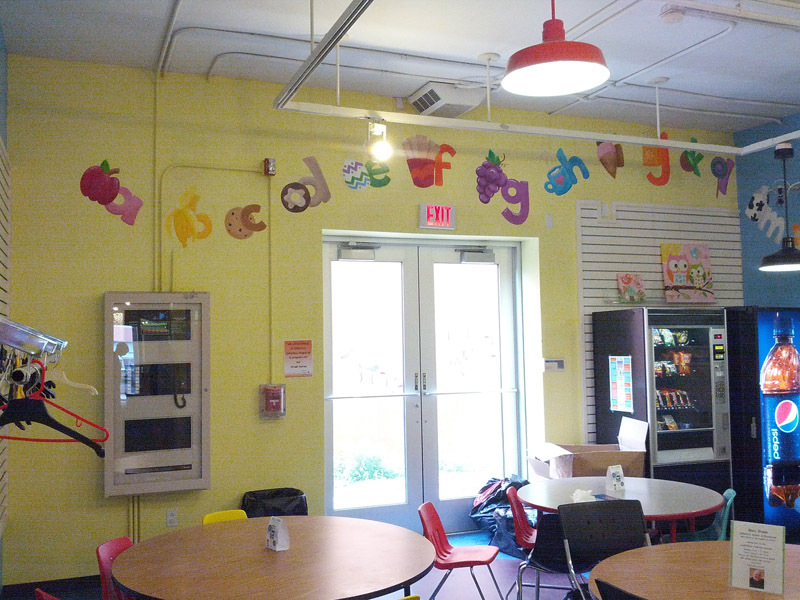 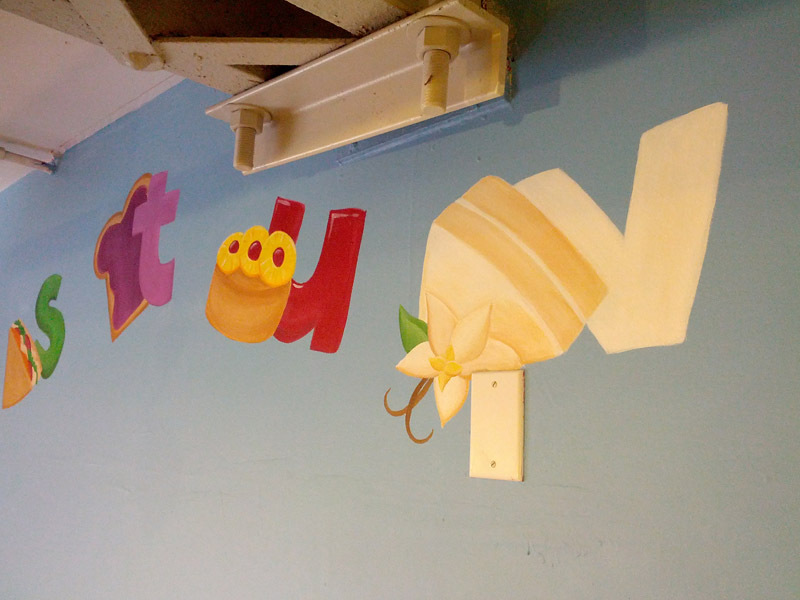 During the spring 2015, I was commissioned to paint a mural in the snack room of Experience Children’s Museum of Erie, PA. 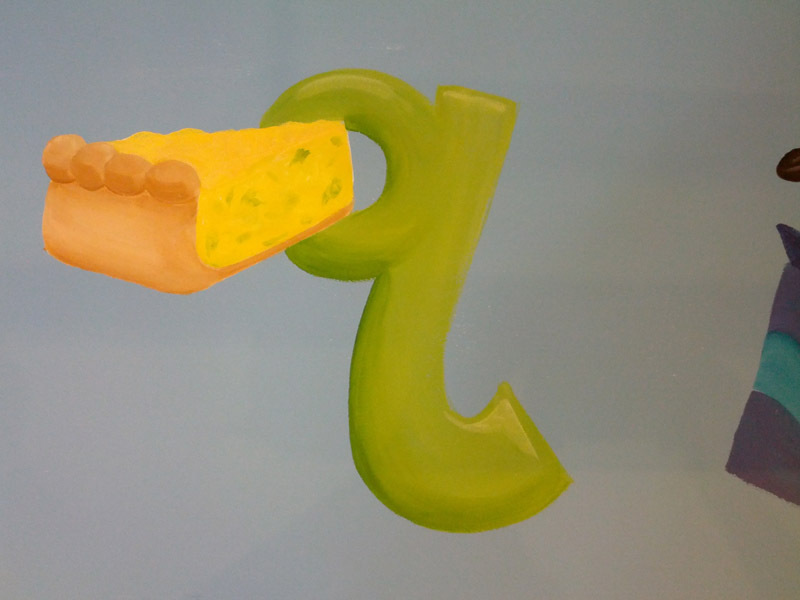 I came up with the idea to do a snack alphabet, with each letter representing a particular snack (e.g., a = apple). 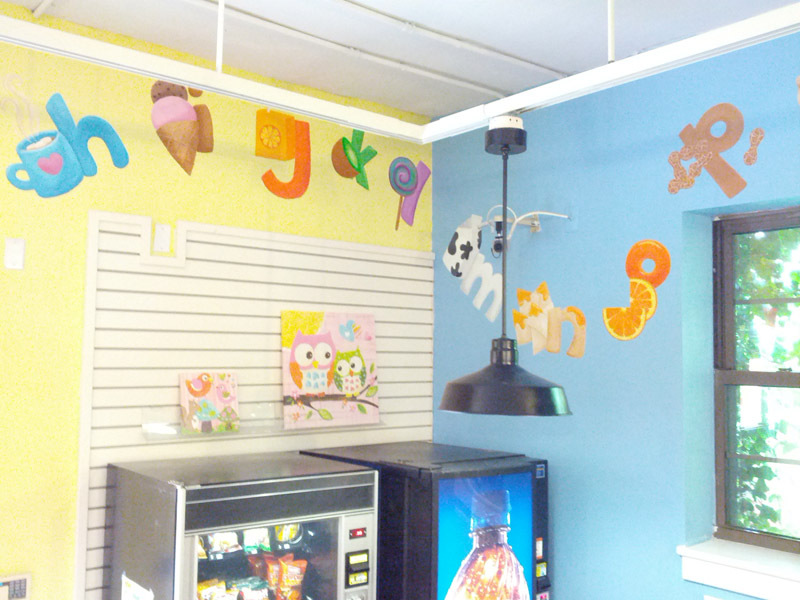 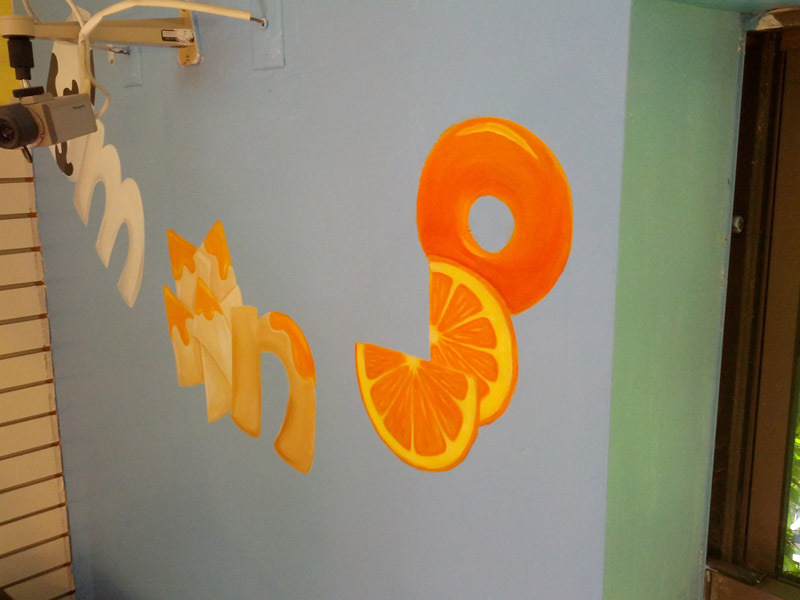 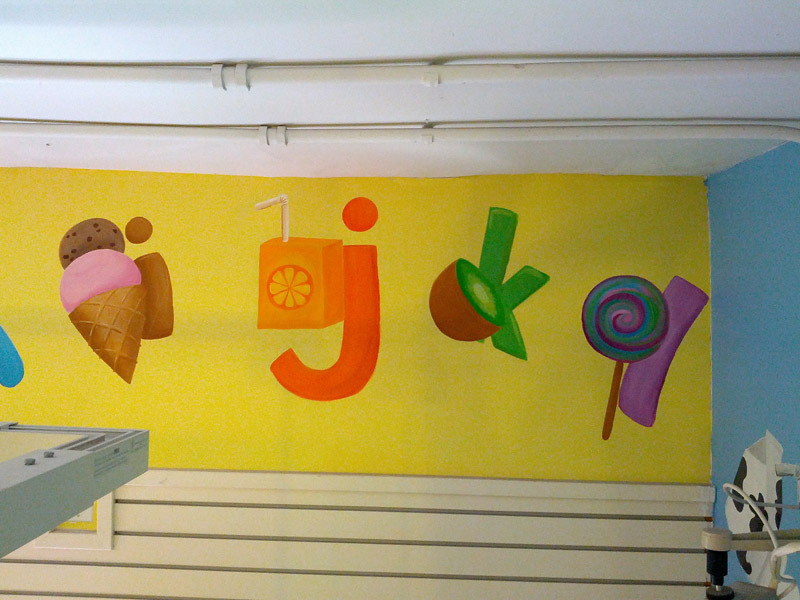 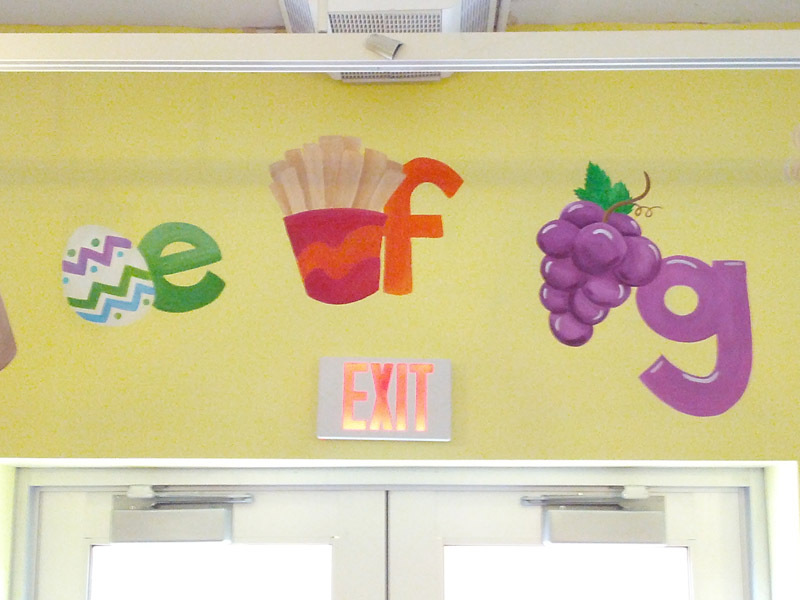 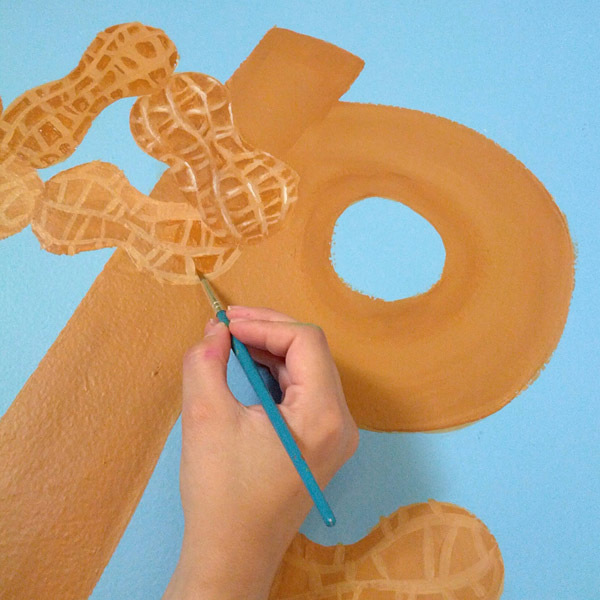 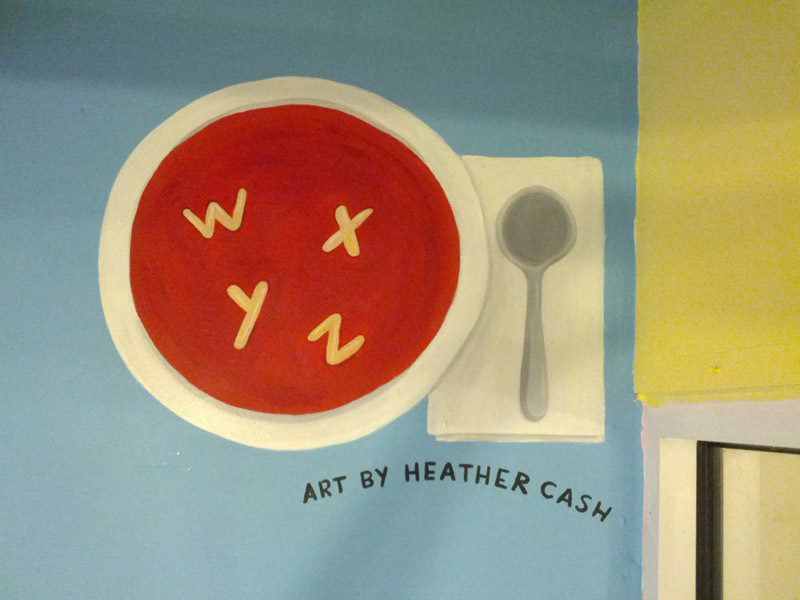 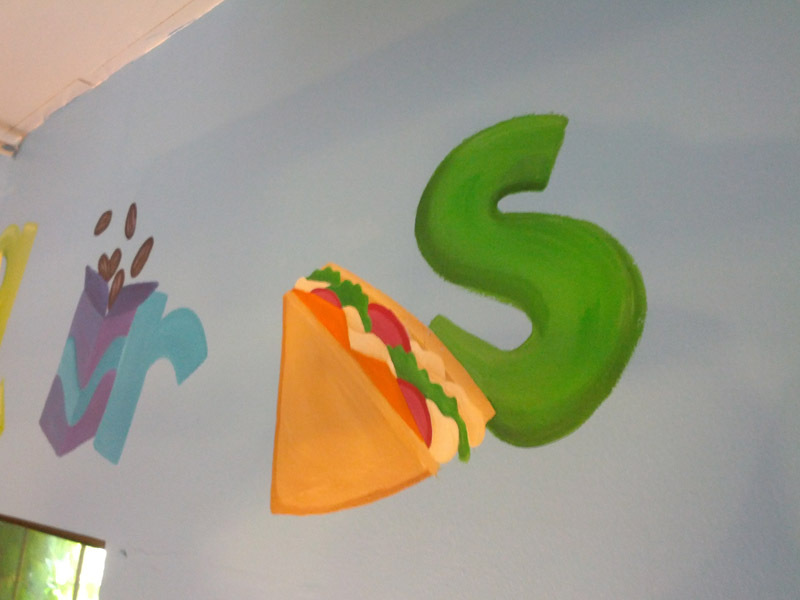 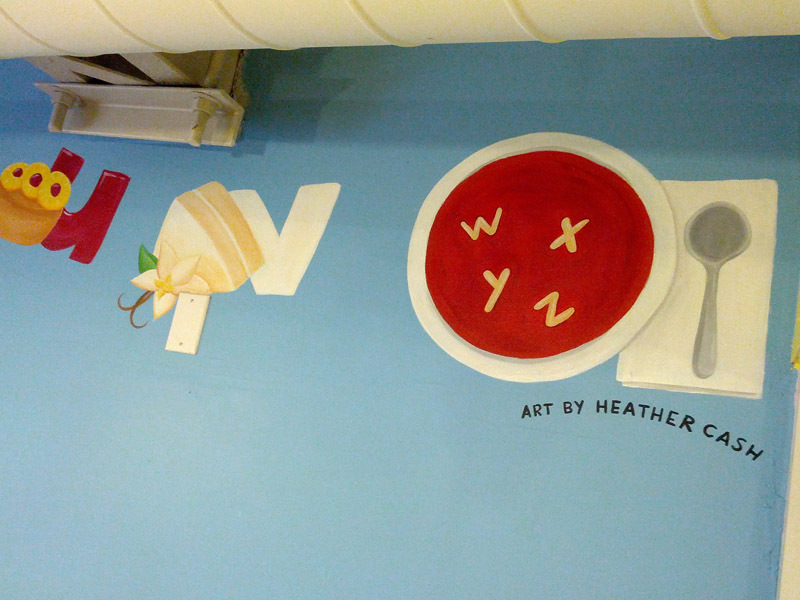 To add playfulness to the mural, I made the letters flow along a wavy line rather than being lined up straight.